A one-time gym trainer from rural Australia who became steeped in neo-fascist ideology during travels in Europe, Brenton Tarrant described himself as an "ordinary white man" -- until he became anything but ordinary. The gym's owner, Tracey Gray, described him as a hard-working trainer but said he appeared to have been changed by his travels in Europe and Asia -- which social media posts suggested included trips as far afield as Pakistan and North Korea. "I think something must have changed in him during the years he spent travelling overseas," Gray told national broadcaster ABC. "Somewhere along the lines, experiences or a group have got a hold of him," she said. He mentions being shocked at the "invasion" of French cities by immigrants and his "despair" at the French presidential vote that year which saw pro-European centrist Emmanuel Macron defeat his far-right opponent Marine Le Pen. In a brief biographical sketch included in his manifesto, Tarrant describes himself as "just a ordinary white man... born in Australia to a working class, low income family". His childhood was "regular" and, he insisted, issue-free. He "barely" achieved a passing grade in school and had no interest in pursuing higher education. Tarrant left the gym in 2011 and his travels, he says, were funded by money he made investing in Bitconnect -- an open source cryptocurrency that collapsed in early 2018 amid charges it was a glorified Ponzi scheme. Two modified semi-automatic weapons -- reportedly AR-15s -- two shotguns and a lever-action gun were used in Friday's deadly rampage, and photos of the weaponry with distinctive writing on them were posted on social media days before. Scrawled in English and several Eastern European languages were the names of numerous historical military figures -- many of them Europeans involved in fighting the Ottoman forces in the 15th and 16th centuries. A few took part in the Crusades, centuries earlier. The Bulgarian government has also said it was looking into Tarrant, who apparently visited the country late last year, as well as having earlier travelled to other parts of the Balkans -- including Serbia, Croatia, Montenegro and Bosnia and Herzegovina. 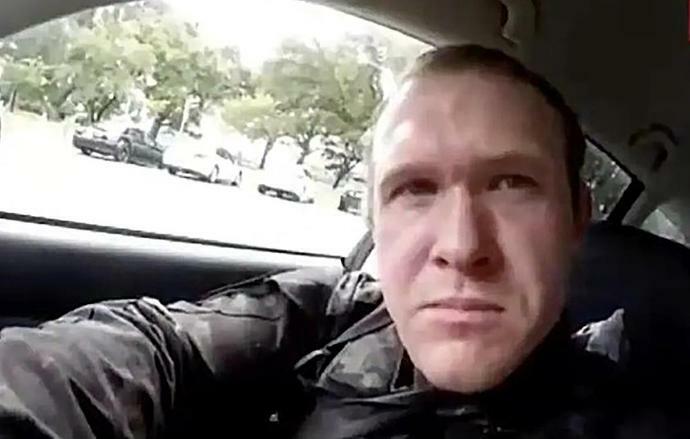 Tarrant's manifesto said he took "inspiration" from other right-wing extremists including racist Norwegian killer Anders Behring Breivik, who murdered 77 people in Norway in 2011 motivated by his hatred of multiculturalism. Tarrant described Oswald Mosley, a notorious British fascist leader and anti-Semite from the 1930s, as "the person from history closest to my own beliefs". Berlin is set to further lower its economic growth forecast Wednesday as Europe's largest economy cools off, but ministers are unlikely to bend to foreign demands to boost activity with extra government spending. According to media reports, the German government will unveil figures predicting gross domestic product (GDP) will increase by just 0.5 percent this year. The downgrade, if confirmed, comes after economy minister Peter Altmaier in January announced expectations of just 1.0 percent expansion in 2019, knocking 0.8 points off an autumn forecast.